The Way of Mindful Education - Description | W. W. Norton & Company Ltd.
A new educational paradigm for youth mindfulness. With attention spans waning and stress on the rise, many teachers are looking for new ways to help students concentrate, learn, and thrive. 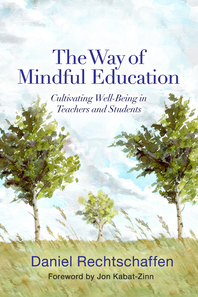 The Way of Mindful Education is a practical guide for cultivating attention, compassion, and well-being not only in these students, but also in teachers themselves. Packed with lesson plans, exercises, and considerations for specific age groups and students with special needs, this working manual demonstrates the real world application of mindfulness practices in K-12 classrooms. Part I, Why Mindful Education Matters, explains what mindfulness is, the science behind its benefits for students and educators, and the inspiring work that is already underway in the Mindful Education movement. In Part II, Begin with Yourself, we are reminded that in order to teach mindfully, we need to be mindful. Here teachers will learn the when, where, and how of mindfulness so they can effectively embody its practices with their students. Mindfulness practices offer teachers self-care and attention skills that prepare them to teach with greater energy and mastery. Discover how simple exercises can help manage stress, focus attention, develop compassion, and savor positive experiences in everyday life. Part III, Cultivating a Mindful Classroom, explores the qualities of a mindful teacher, the ingredients of a mindful learning environment, and helpful skills for appropriate, supportive work with cultural diversity, student stress and trauma, and varying age groups and developmental stages. Finally, in Part IV, Mindful Education Curriculum, we learn eighteen ready-to-use mindfulness lessons for use in schools. These practical exercises, designed to foster skills like embodiment, attention, heartfulness, and interconnectedness, can be readily adapted for any age group and population, and the author draws from his extensive personal experience to offer a wealth of tips for introducing them to students in real-time. Decades of research indicate the impressive benefits of mindfulness in social, emotional, and cognitive development, and as an antidote to emotional dysregulation, attention deficits, and social difficulties. 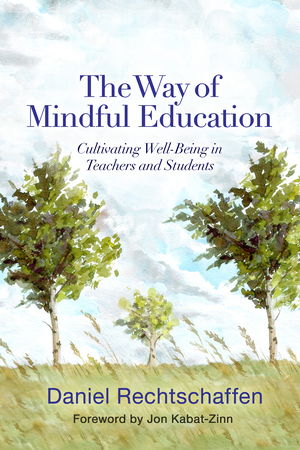 This book invites teachers, administrators, and anyone else involved in education to take advantage of this vital tool and become purveyors of a mindful, compassionate, ethical, and effective way of teaching. A structured curriculum of classroom-ready lessons, practises and worksheets for actualising a powerful new educational paradigm: student mindfulness.